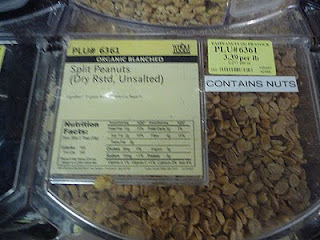 Oh my gosh - I cracked up at the peanut/nuts comment!!!!!! Thanks for the laugh! Thanks Marlene! For some reason I thought you were Maureen and I was like, "I've never seen THAT profile picture! She looks completely different!" Congrats on the going back to school thing. 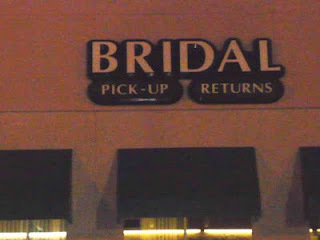 Are the brides recyclable? I try to be a responsible citizen you know. that won't even consider dating a girl who doesn't have a sense of humor about things like I do, I love that kid! SJ - I think so. You could check for a recycling symbol before getting hitched just to make sure. Nishant - I dunno...I was confused and then I figured I was tricked. But I'm glad you at least love my friend Beth's kid. I know this low key disaster of which you speak. It kind of describes my life at the moment too. You are completely mad going back to study you know! Mind you, maybe the first lesson will be the correct grammar for the title of the course! Arizaphale - Well, it should really only be bad in April and May. I have June & July off, so I'll be able to just concentrate on studying (and getting married) during those two months. Then next school year (which will begin in August for us), I'm hoping to work about three hours less a week, so hopefully that will give me the time. The thing is that if I do it now, there's a program that will pay for my tuition. So I feel like I should take advantage while I can. Gee, I wish I had lived in Texas when my first marriage went south....it would have been a lot easier just to return her. Sheesh! I cannot believe these signs! I swear it must be a Houston thing! Love em! And maybe when you're getting your masters (or master's) they'll tell you how to spell it?? Congrats on going back to school! 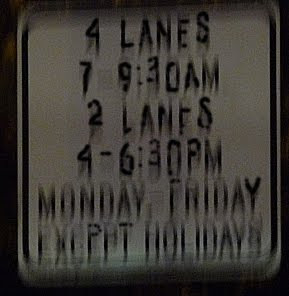 Janet - That one about the crazy lanes I actually saw in Washington DC. 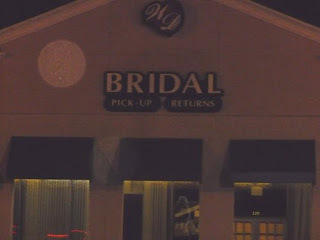 The bridal thing was here though. And thanks! Awesome. I love silly signs. The peanuts sign was my favorite, too.